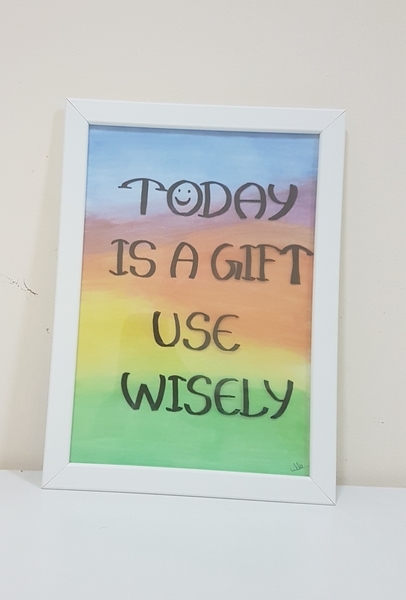 --------TODAY IS A GIFT USE WISELY------ - If you are looking for motivational art piece this is the perfect one for you!!! 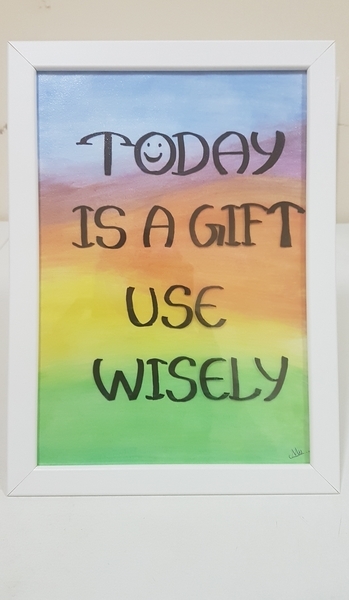 - Handmade motivational water color painting on a frame... - This painting would encourage you to be more productive... - It is in A4 SIZE - Easy to hang on wall or place on desk. - This can also be used as a gift for your loved ones.